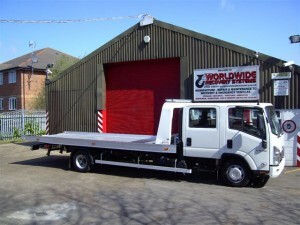 The 4 Ton Aluminium Lo-slider from Worldwide Recovery Systems comes with a 3200 kg Payload, depending on chassis, and 4.5º loading angle for low approach – ideal for expensive sport cars ! The Lo-Slider is also available with an independent 2nd car speclift. Each bed is hand made to perfection at our factory in Hertford so you are guaranteed an exceptional recovery vehicle for the right job ! Worldwide Recovery Systems are pleased to announce that they are now distributors for PORTWEST Clothing and can offer extremely competitive prices for all PORTWEST products.